The FIA have confirmed receiving a formal appeal from McLaren that could see Lewis Hamilton handed the Formula One world championship. Motor sport's governing body issued a statement on their official website acknowledging Hamilton's team have disputed the decision of the stewards not to penalise rival teams BMW and Williams for fuel irregularities at the Brazilian Grand Prix. 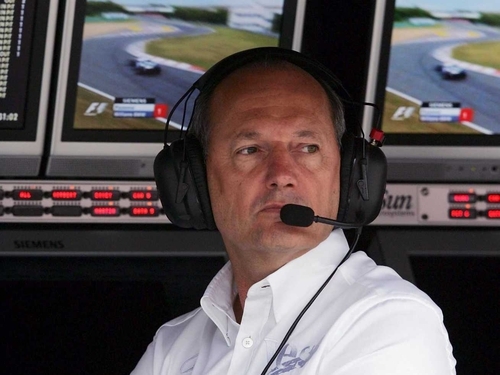 The statement read: ‘The FIA has been informed by the Secretariat of the International Court of Appeal that they have received a Notification of Appeal from the UK National Sporting Authority (RAC MSA) on behalf of Vodafone McLaren Mercedes. If the appeal if successful, those teams could be disqualified from the race which could also mean Hamilton being elevated from seventh to fourth position. If he is also awarded the points for a fourth-placed finish, the 22-year-old Briton replace Kimi Raikkonen as drivers' champion. However, such an outcome is by no means certain, even if the FIA decide to overturn the stewards' decision. There are a range of punishments available, one of which could see Williams and BMW lose the points gained from Sunday's race but without Hamilton enjoying any benefit.